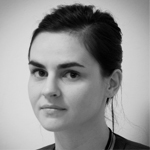 Dr Wioleta Marut has been a postdoc in the group of Prof. Radstake since 2013, working on immune dysregulations and fibrosis in the pathogenesis of Systemic sclerosis. She has a rich scientific experience gathered in multiple laboratories across Europe e.g. Institute of Oncology in Poland, University of Exeter in UK, and German Cancer Research Center (Dkfz), which is one of the world’s leading biomedical research institutions. As a part of the “RedCat” training network funded under the FP7 of the European Union, she obtained her PhD at the University Paris Descartes in France, where she had extensively studied the pathogenesis of SSc on three different aspects; immunology, fibrosis and the role of reactive oxygen species. For the last 7 years she has gathered broad experience with different mice models focusing on inflammation and fibrosis of the skin and lung. In 2014, Dr Wioleta Marut was awarded with Marie-Curie Intra-European fellowship for career development. Since then she had been focused on the role of CXCL4 in fibrosis of Systemic sclerosis. Marut W*, Kavian N*, Servettaz A, Nicco C, Chéreau C, Lemaréchal H, Guilpain P, Chimini G, Galland F, Weill B, Naquet P, & Batteux F. Pantethine prevents murine systemic sclerosis in the mouse through the inhibition of microparticle shedding. Arthritis Rheum. Accepted. Marut W*, Kavian N*, Servettaz A, Hua-Huy T, Nicco C, Chéreau C, Weill B, Dinh-Xuan A.T, Batteux F. (2013) Angiotensin II receptor blockade ameliorates systemic fibrosis in the mouse. Arthritis Rheum. 65(5):1367-77. Marut W1*, Kavian N1*, Servettaz A, Laude H, Nicco C, Chéreau C, Weill B, Batteux F. (2012) Arsenic trioxide prevents murine sclerodermatous graft-versus-host disease. J Immunol. 15;188(10):5142-9.